Advances in soil science will provide valuable information for livestock farmers in the future. Chloe Palmer finds out more. Much concern has been voiced about the state of UK soils but this has been principally directed at the arable sector. 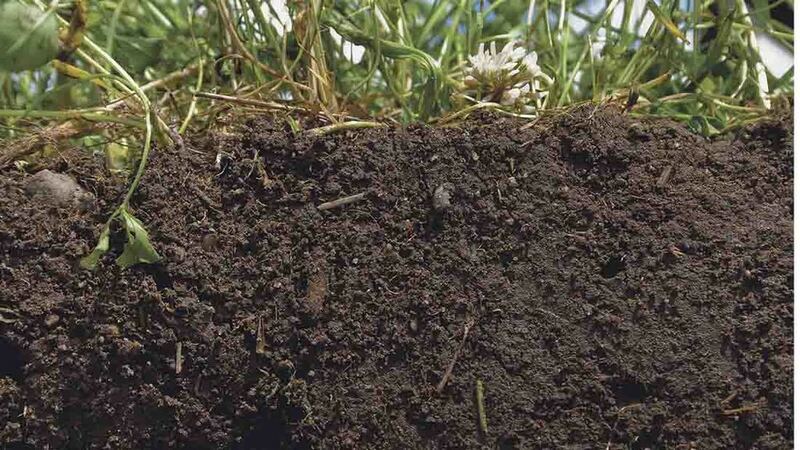 As soils play a critical part in forage production, both in terms of yield and nutritional quality, it follows research into soil health is of equal relevance to livestock producers. The pioneering agronomist William Albrecht famously said ‘food is fabricated soil fertility’ and in the mid-20th century his work was some of the first to draw links between the health of soil and that of plants, animals and humans. Since then, few researchers or practitioners have revisited this work, despite the increasing relevance of its findings to the challenges facing the livestock sector today. Leslie Firbank, Prof of Sustainable Agriculture at the University of Leeds, believes this is due to the complexity of investigating the inter-relationship between soil, plant and animals. He says: “Until recently, soil has been considered as a ‘black box’ where little was known of the functioning and composition of its individual components. But now, due to improvements in physical science and DNA sequencing, we are able to trace exactly what happens to soil carbon and other elements in the soil. Prof Firbank admits it is still much easier to break down the individual components of soil and investigate them individually. But interactions in the soil are proving to be increasingly important to the wellbeing of the soil and the plants which grow in it. Prof Firbank believes there is scope to select those plant varieties exhibiting a capacity to associate with mycorrhizae and this could have commercial applications in the future. The MAG-NET research project at the University of Nottingham is also focusing on plant selection. Prof Martin Broadley and his team are working in collaboration with a team of forage grass breeders, led by Alan Lovatt at IBERS/Aberystwyth University to pick out those grass varieties most effective at accumulating magnesium. The concept of selecting for this trait is not new, says Prof Broadley, but rather it has been neglected as plant breeders have concentrated on yield and other quality attributes. Prof Broadley points to a variety of Italian rye-grass developed in the 1970s by Mr Lovatt and colleagues in Aberystwyth which was able to accumulate greater amounts of magnesium. Another important aspect of the MAG-NET project is the inter-disciplinary collaboration with Dr Louise Ander and geochemists at the British Geological Society, allowing the team to relate spatial variation in soils to magnesium deficiency in livestock. Prof Broadley says: “Working alongside geochemists we are producing a risk map to show where magnesium deficiency is more likely to be an issue, because of low levels of the mineral in soils. Veterinary experts are also feeding into this project by providing information about the incidence of hypomagnesaemia in certain areas. This will enable the team to recognise any correlation between the results of soil mapping and the occurrence of deficiency symptoms in cattle and sheep in high risk areas. This approach is supported by similar research undertaken in Ireland by the British Geological Survey and the Geological Survey of Ireland. They used geostatistics to map the probability a soil’s trace element concentrations exceed or fall below certain thresholds. This information was then used to indicate areas where these elements might cause problems of deficiency. Prof Broadley believes the findings of their research so far suggest it may be possible to produce a decision-making tool for farmers to help them identify likely nutrient and mineral deficiencies, due to shortfalls in the soil. He envisages enormous potential as scientists from the different disciplines of geochemistry, plant genetics, soil ecology and even vets work together. He says plant breeders are interested in the scope to develop varieties with the ability to accumulate greater amounts of key micro-nutrients and trace elements. Prof Firbank shares this enthusiasm and believes the rising profile of soil is good news for future research. MAG-NET is a five-year project aiming to develop novel, resilient, nutrient management strategies for the UK ruminant sector. The primary nutritional focus is magnesium (Mg) due to its strategic importance, but new data, knowledge and communication tools arising from this project will apply to other nutrients and elements. The N8 AgriFood initiative covers a range of themes, including sustainable food production. Its research will focus on soil health, resilient and productive crops and livestock, novel diagnostics and predictive modelling to promote resilient, sustainable food production. The IBERS PROSOIL project seeks to tackle the many challenges of soil management. Working with Welsh livestock farmers, it links scientific research on soil management techniques to farm practice with research taking place on nine commercial farms. The impact of soil nutrients on cattle is being studied.